The video comes in at 12 minutes - its worth the time to watch. 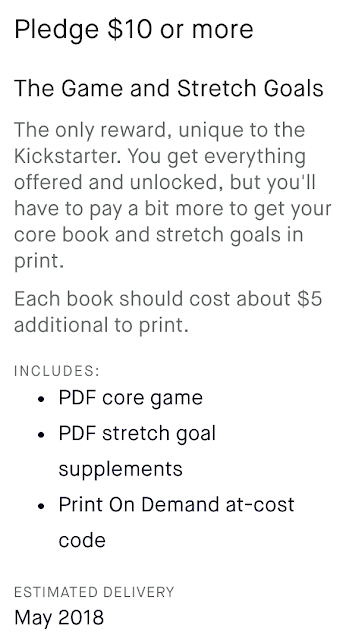 Bits & Pieces - Updates, Kickstarters, Oh My! The Midderlands Expanded Kickstarter has hit its funding goal with 28 hours left in the funding period and there was great rejoicing. Woot! The Rappan Athuk 5e Kickstarter is right around the corner. For the OSR it means new content and VTT maps. More info when I have - literally - more info to share. Mentioning Swords & Wizardry... Swords &Wizardry Continual Light is knocking on nearly 1,100 copies sold between print and PDF. I should have a small handful of print copies available at Gary Con, maybe 10 copies. Will sign upon request. Can you believe I've still got lingering congestion from last month's upper respiratory infection? I picked up the Rocketsmart Notebook Set last night to see if it works as well for drawing maps as I think it will. Pricing is today only. Should receive my set sometime mid week. No affiliate link, just a good deal if such stuff interests you. Think I'll stay home and assemble bookcase shelving today. Sinus headache has spoken. Well, that and rain. Which is probably not helping with the sinus headache. Some of my favorite DCC RPG adventures are the Zero-Level funnels. 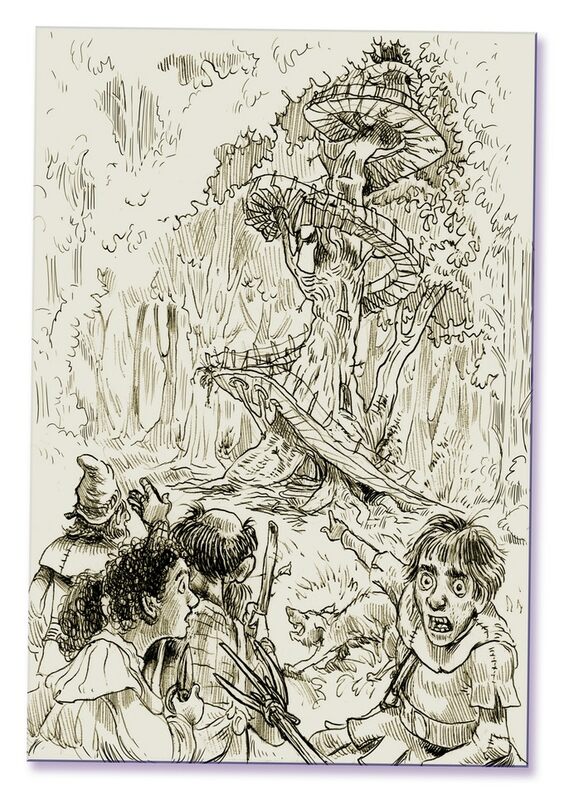 Greenwood of the Fey Sovereign looks like a fun little funnel at the right price - 7 bucks for the PDF, 10 bucks for the Print copy and 15 for Print plus PDF. 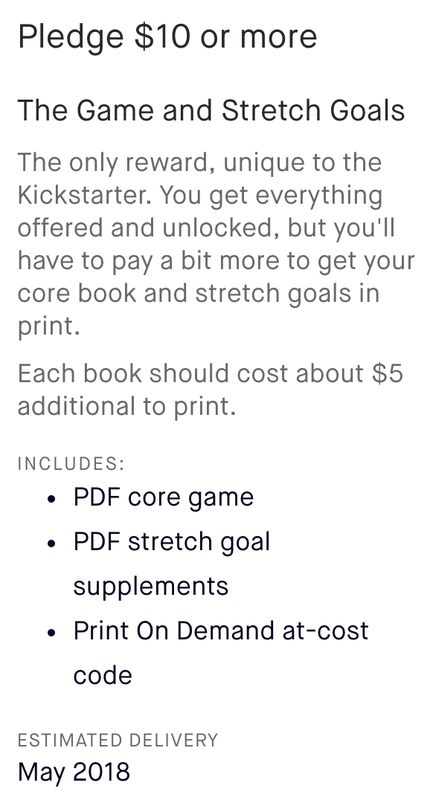 Funding goal was $500 and its already surpassed $2500. 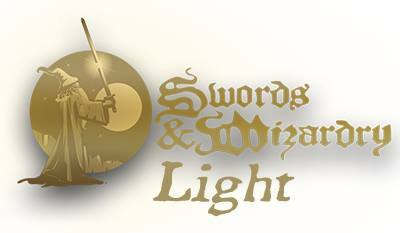 Its a soft announcement because I don't have a set date for the first session yet, but starting sometime in the last half of March I plan to start running a more or less monthly session of Swords & Wizardry Light aimed at players new to the OSR and lapsed gamers. All will be welcome, so don't let experience with the OSR turn you away. 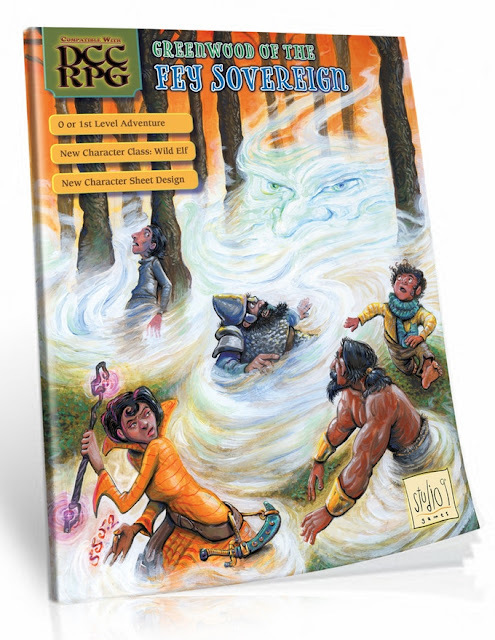 The topic arose on The Tavern's Discord sever and it simply makes sense - there should be an avenue for players new to the OSR to get their feet wet. Plan is to use Discord for voice. 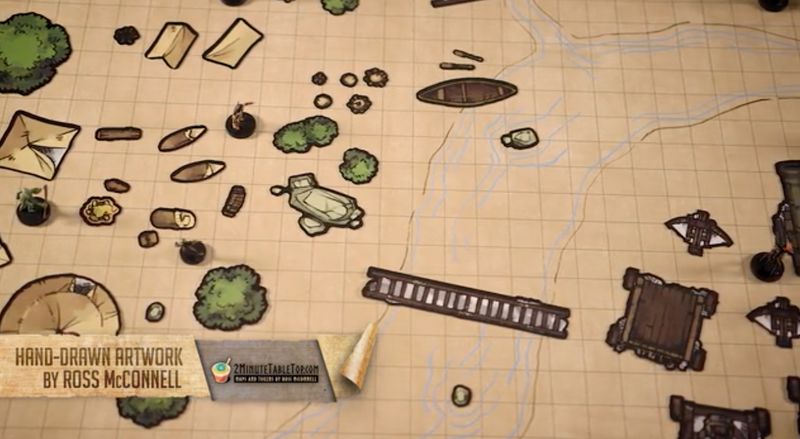 Roll20 will probably be used for the Virtual Table Top - or perhaps no VTT. 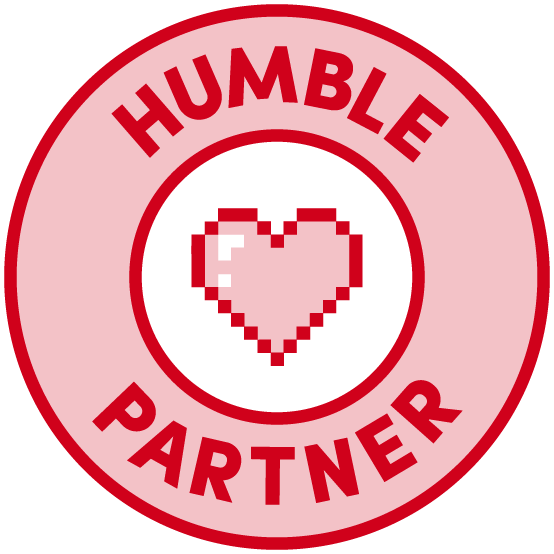 We MAY record the voice from the Discord channel and post it as a podcast for others to listen to. Haven't decided yet. 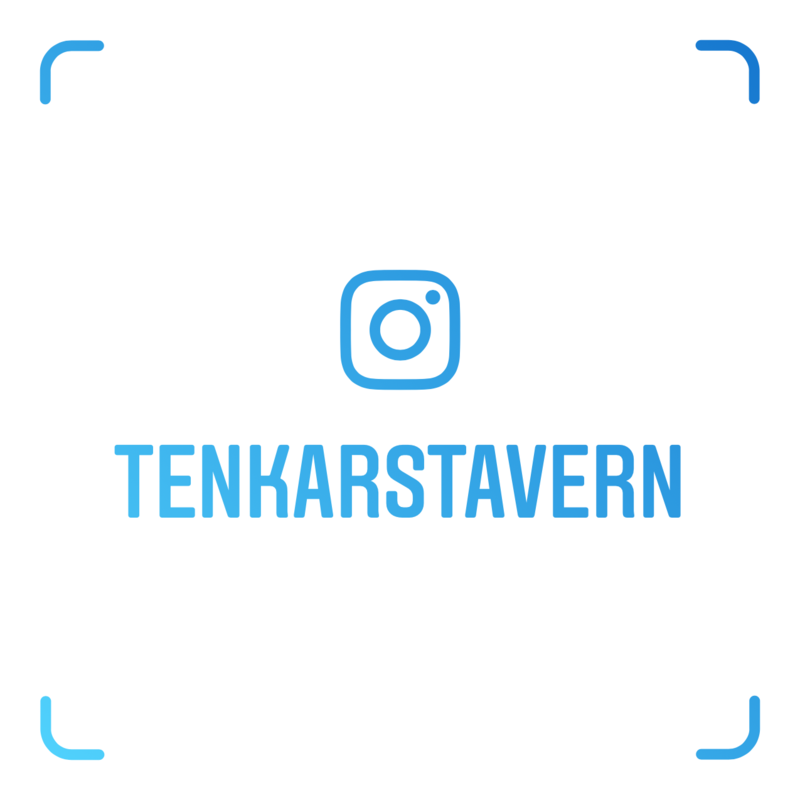 First session will probably be in the evening (NYC time) but I'm open for afternoons / mornings if there is enough interest. Last night during Tavern Chat we let The Bot roll the virtual dice to decide who would be gifted with The Tenkar's Tavern Monthly (more or less) Box of Hopefully Not Crap for the Month of February. 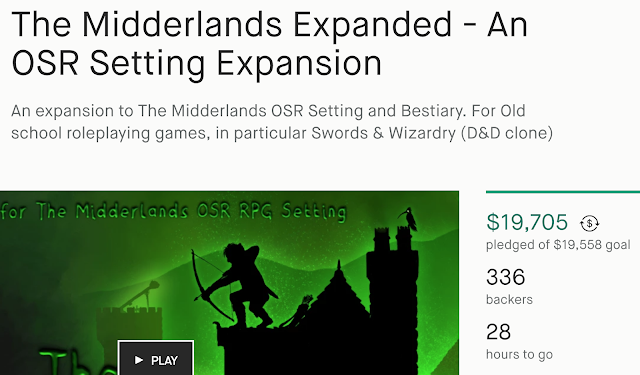 Just a quick reminder for folks that are interested in The Midderlands Expanded Kickstarter - you have three days left to back it if you haven't yet. I have the original Midderlands and its probably one of the, if not "the", best setting books I've come across in nearly 40 years of gaming. +MonkeyBlood Design (Glynn Seal) and team did some amazing work and I'm expecting more of the same from The Midderlands Expanded. “[The Midderlands] as a small area campaign supplement is the best I’ve ever seen, displacing Dave Arneson’s Blackmoor First Fantasy Campaign area, which up until now -- and that’s decades -- has been my favorite one.” - Matt Finch (Creator of Swords & Wizardry). 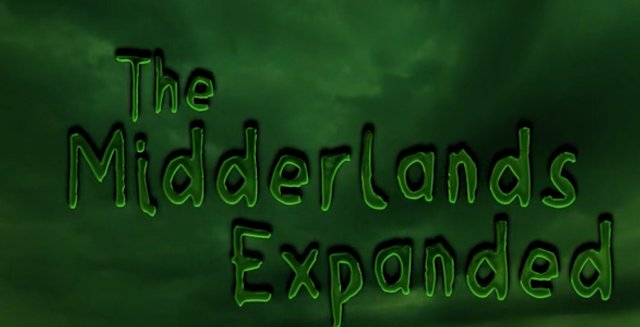 What is going to be in the new 'The Midderlands Expanded' book? 50+ pages of content previously released in The Midderlands Additions, and The Midderlands Additions II, but as part of a glorious, high specification, hardback format. Approx. 170 pages of new, previously unseen content. 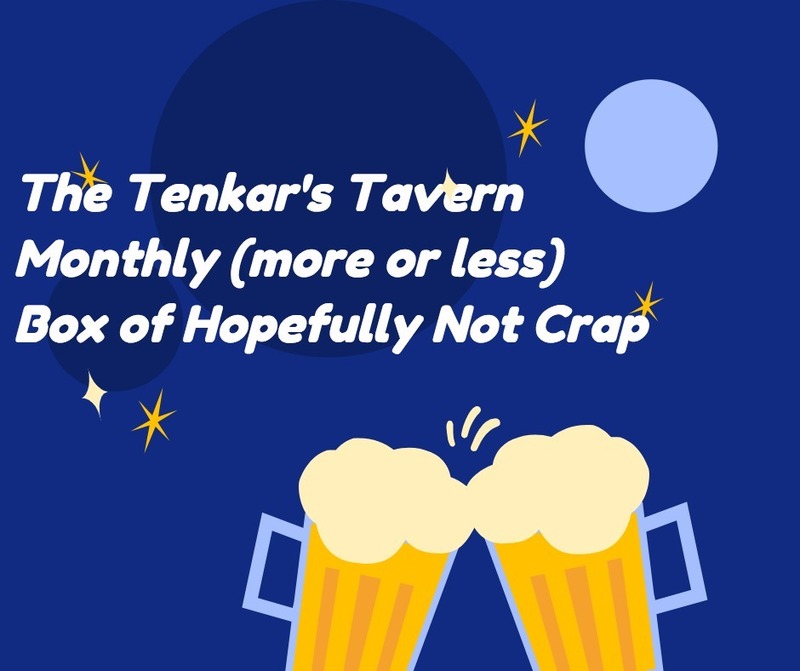 Tonight at 9:30ish, I'll be announcing the receiver of the Tenkar's Tavern Monthly (more or less) Gift Box of What I Hope is Not all Crap Giveaway - you can still comment on the original post until 9 PM tonight. Our very own +Joseph Bloch (aka The Greyhawk Grognard) has started a petition to have WotC officially support the World of Greyhawk with the Dungeons & Dragons 5th Edition rules. I bought the 1st Dragon Age Boxed Set when it released and I was impressed. It had flavor and a system I could grok. Later, Green Ronin removed the video game's IP and released Fantasy Age. Both are part of the Dragon Age & Fantasy Age Bundle. 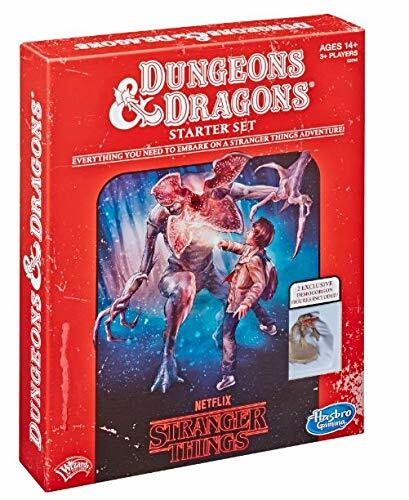 For 10 bucks you get what is effectively a Fantasy Age starter set. For a hair over $24 you get Dragon Age and Titansgrave as well as some other material. I'm in for at least Fantasy Age but I never followed up with the later Dragon Age releases. Hmmm... decisions, decisions. 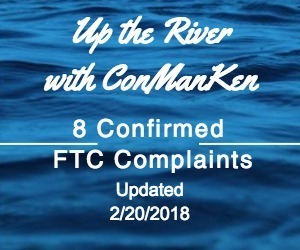 As detailed in a prior post here at The Tavern, backers of the KotDT: LAS Kickstarter are able to file FTC complaints against Ken Whitman in regards to the KS. This is one of those Kickstarter projects where I say to myself - "how come no one thought of this before?" Its basically Colorforms for Tabletop RPGs. 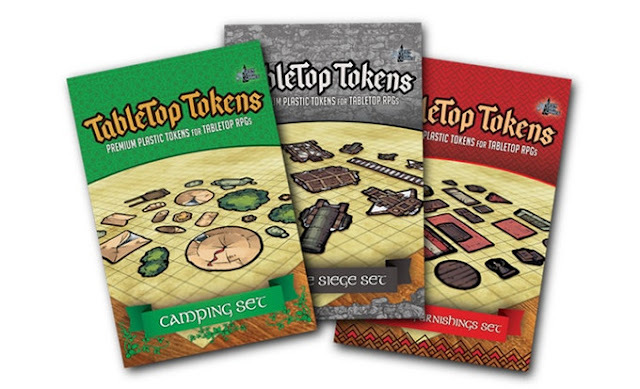 None of the initial sets really strike me as something I need, but a Dungeon Trappings set would be awesome! Its funded with 22 days to go. 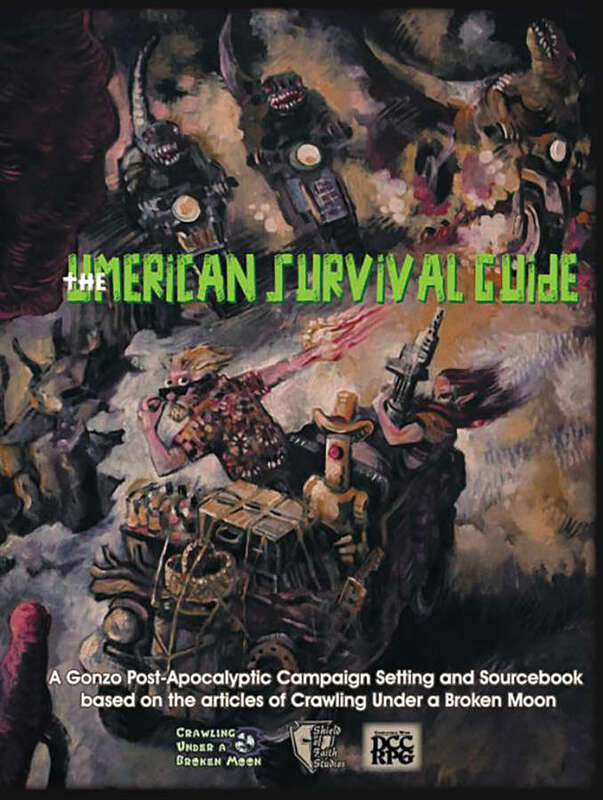 A dozen new or revised character class options, nine of which are unique to Umerica: Clerics of the Wasteland, The Cyborg, Feral Urchin, Fossiorian, Grays, Mutant, Petrol Head, Robot, Scavenger, Technologist, Wasteland Warrior, Wizard of the Wasteland. All fully compatible with the Dungeon Crawl Classics Role Playing Game from Goodman Games. "An unholy union between OSR principles and PbtA mechanics. A modern take on fantasy rpgs compatible with the classics." Let me state this up front - I am not a fan of Apocalypse World. That being said, I am intrigued by the potential hybridization of OSR rules with Apoc World or Dungeon World promised by Vagabonds of Dyfed. 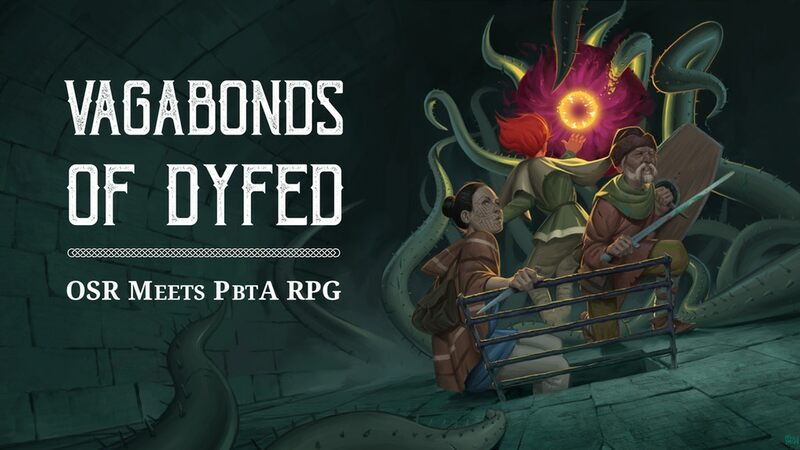 Our design goals were simple: make a game that's mechanically compatible with OSR retroclones (and their mountains of content) while leveraging the compact but non-binary PbtA system. How 2d6 as the core resolution check will be "mechanically compatible with OSR retroclones" should be interesting to see. 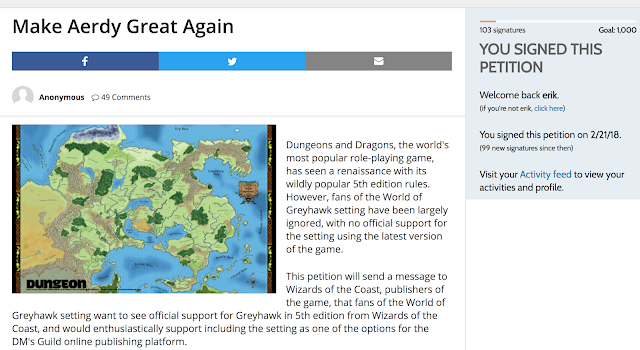 Heck, you can even download a draft of the rules now. 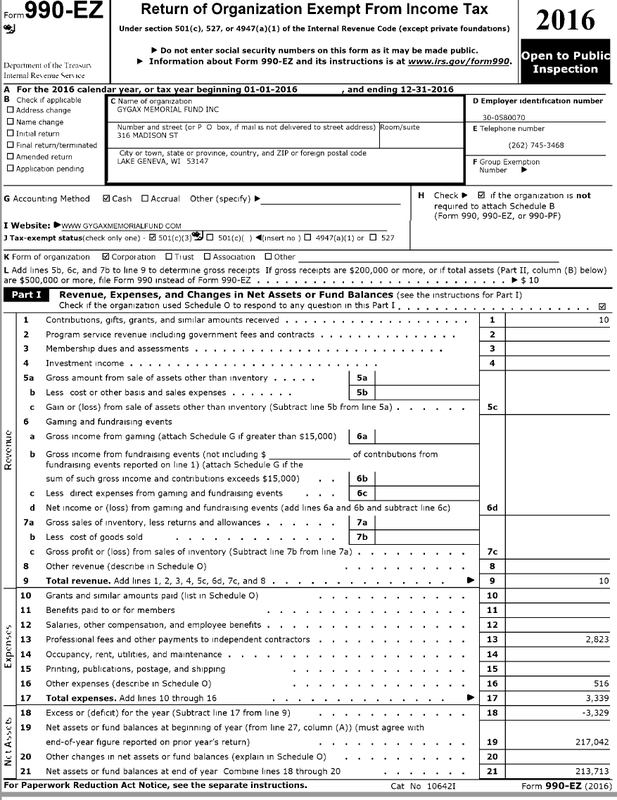 Thanks to a Tavern Reader, I was pointed to the Gygax Memorial Fund's 2016 Federal Return, which was filed on May 25th, 2017. The first thing that stood out to me is that the Fund raised a whole 10 bucks in 2016. That takes some special effort to have that little a return. The Fund spent over $3,300 over the same period. But what really stood out was the Schedule O page. Isn't that exciting? The Memorial will be completed by May 25th of this year! Just over 3 months away. I need to get my plane tickets and a hotel. BTW, the 2015 return promised the memorial in 2 years and the 2014 promised it in 5 years. They should have stuck to the initial time frame. Oh, notice objective "E" above? The Fund was founded in 2010. They STILL haven't started a scholarship? Like previous years, the Fund has accomplished nothing and keeps losing money. Another year without even minimal interest being earned. 1% interest would have covered half the expenses - and would have returned over 200 times what their fundraising did. I can see why they haven't uploaded this return to the GMF website - its embarrassing.